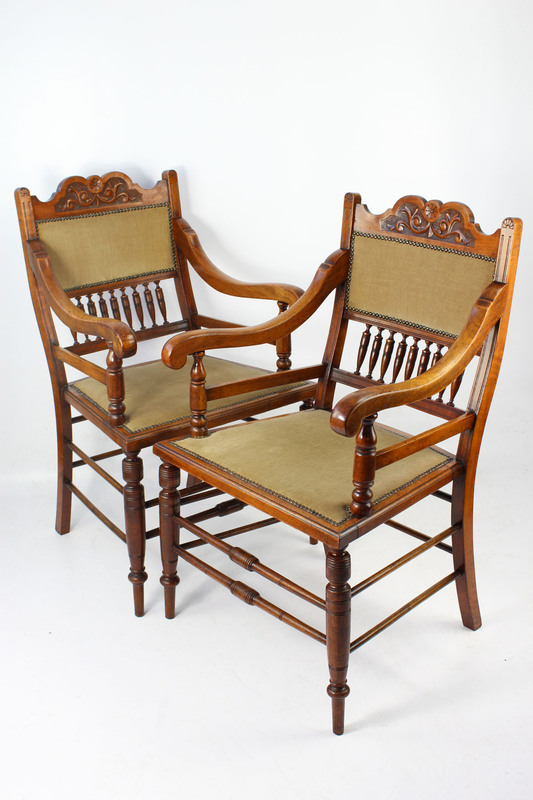 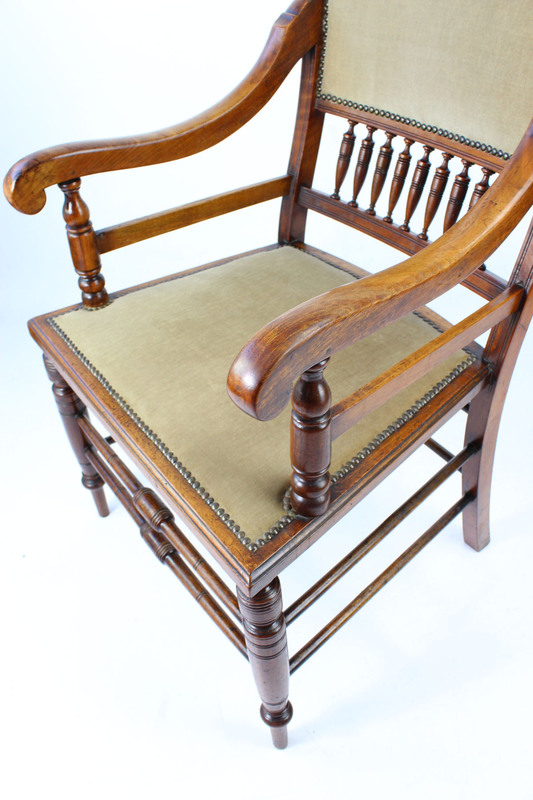 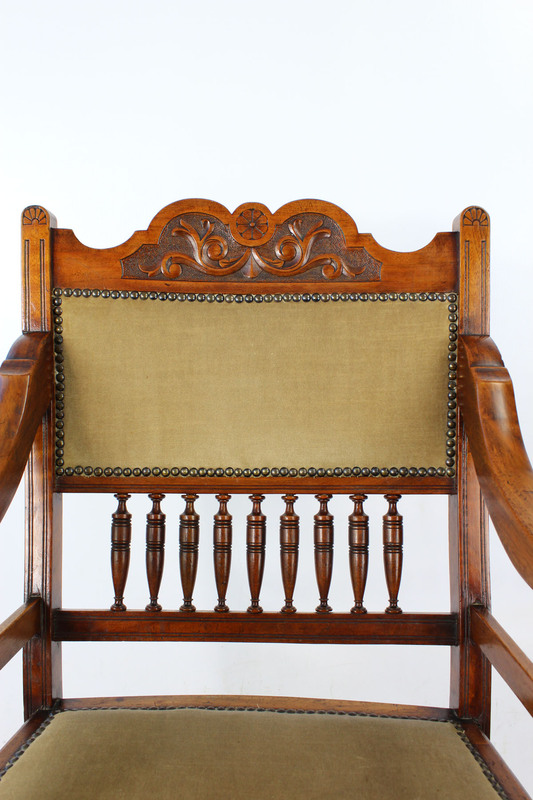 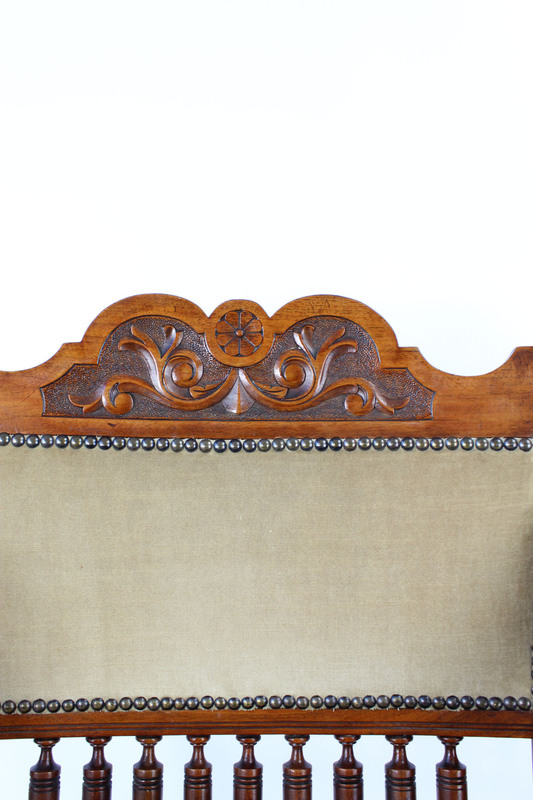 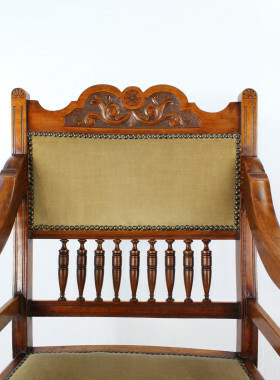 A very stylish pair of antique Edwardian walnut Arts and Crafts open armchairs dating from circa 1905. 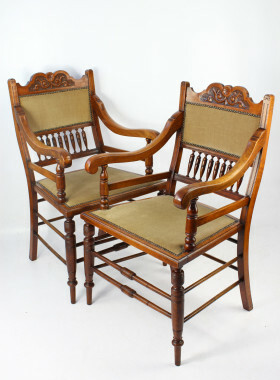 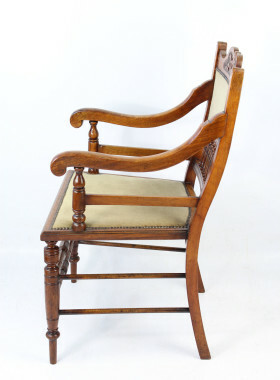 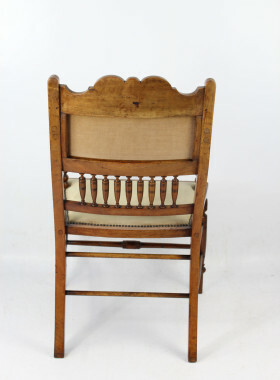 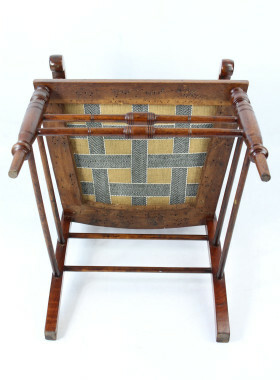 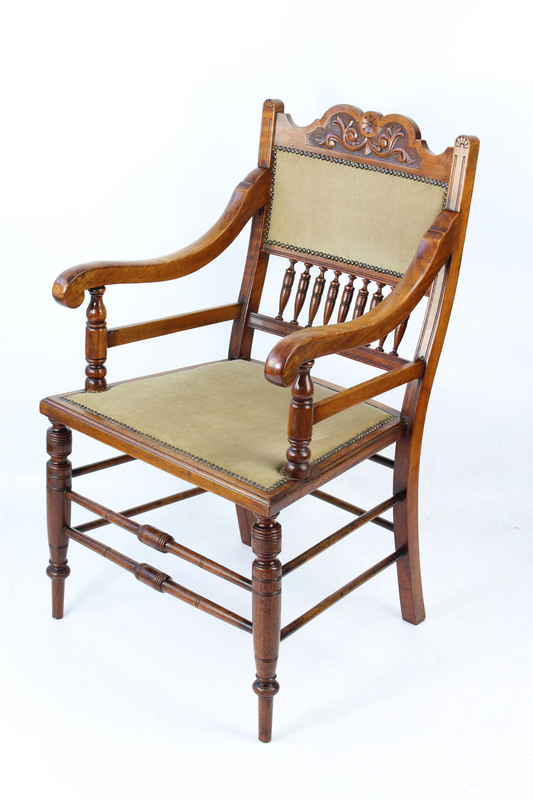 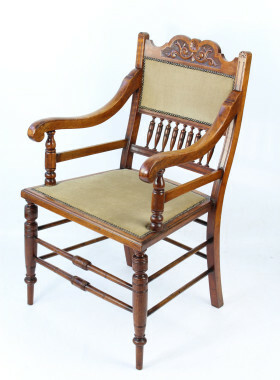 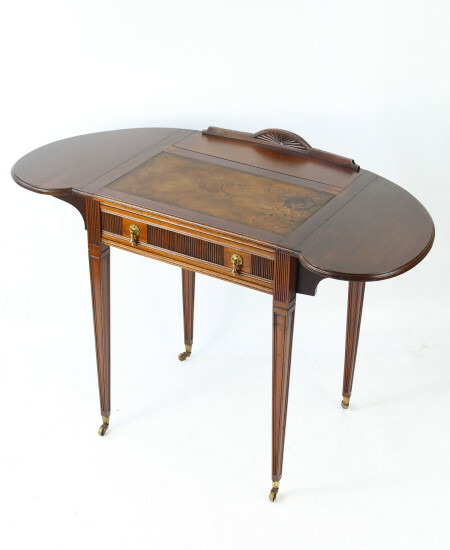 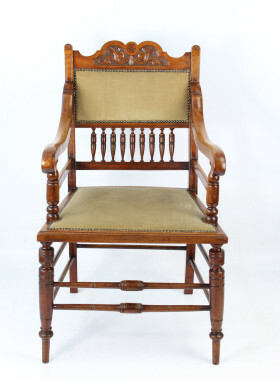 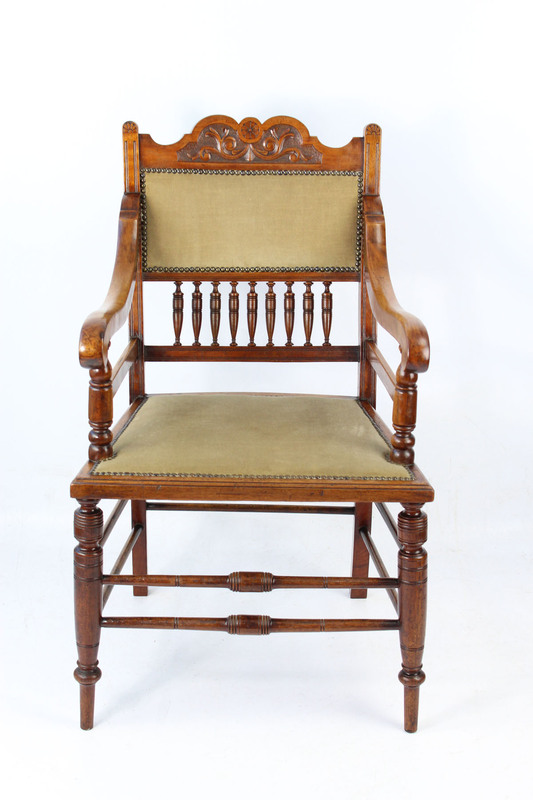 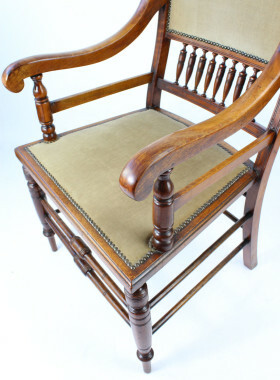 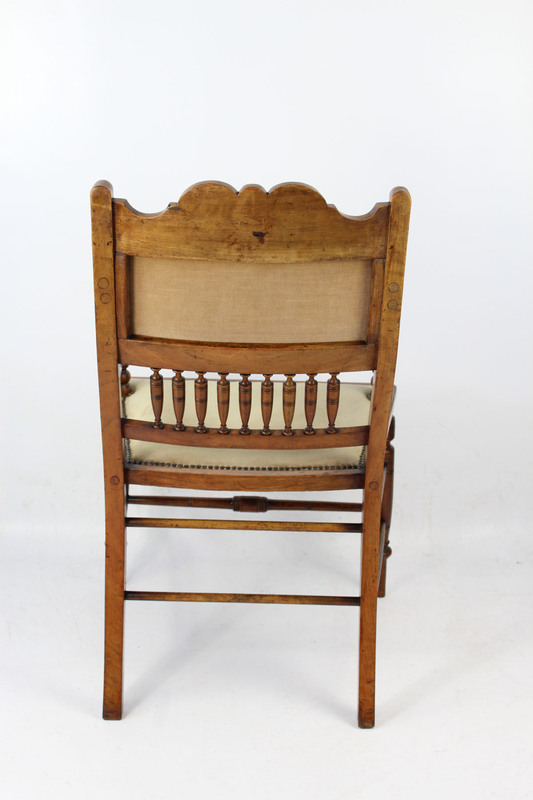 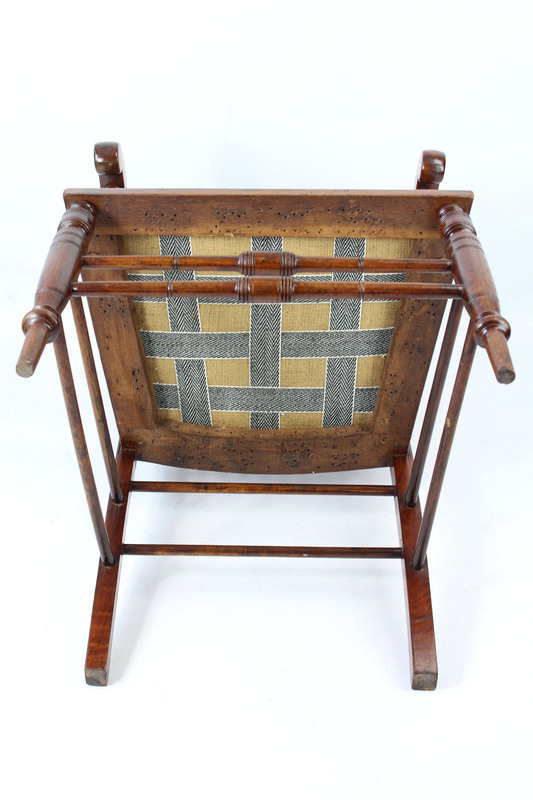 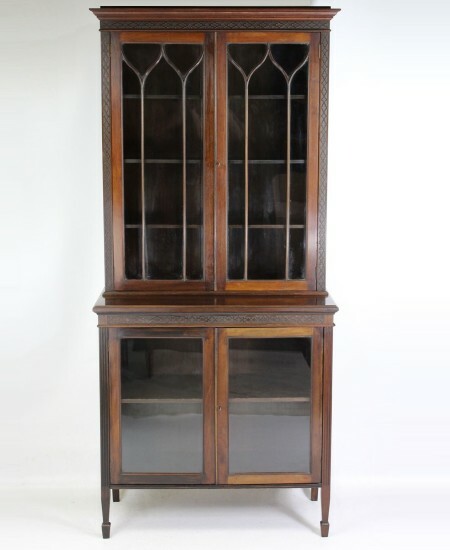 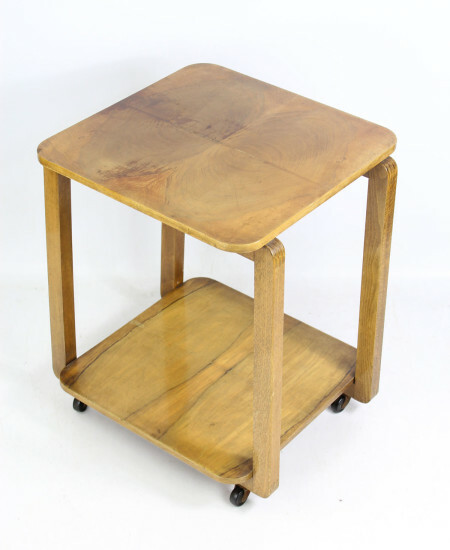 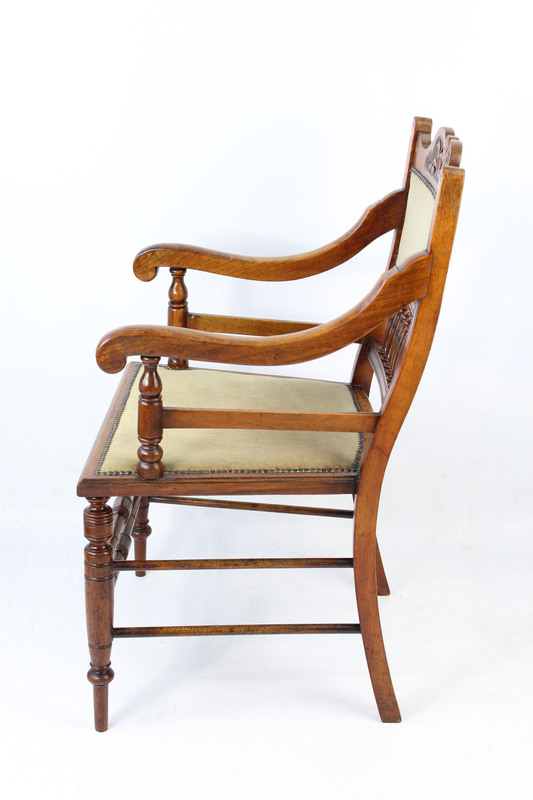 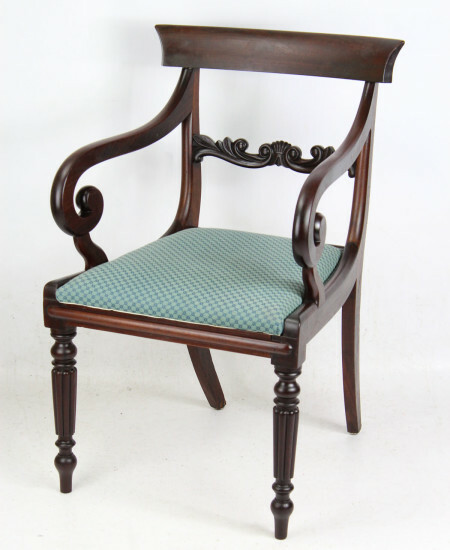 Categories: Antique Chairs, Antique Walnut Furniture, Edwardian Furniture. 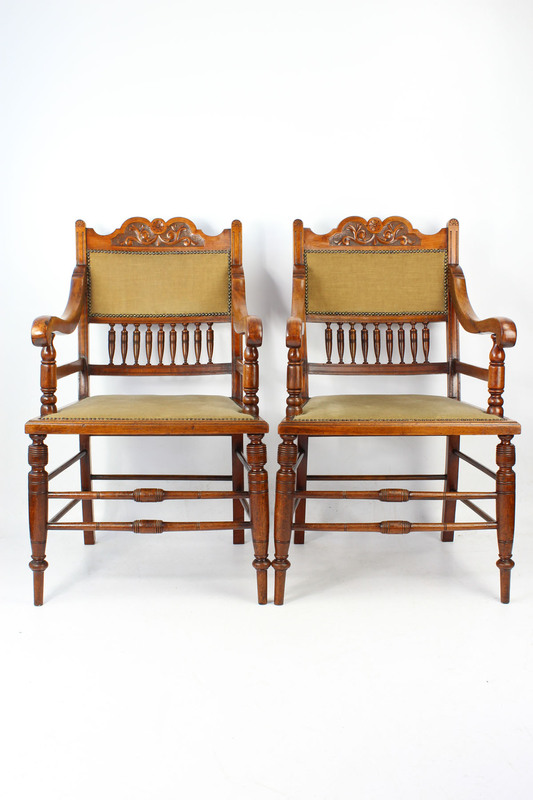 A very stylish pair of antique Edwardian walnut Arts and Crafts open armchairs dating from circa 1905. 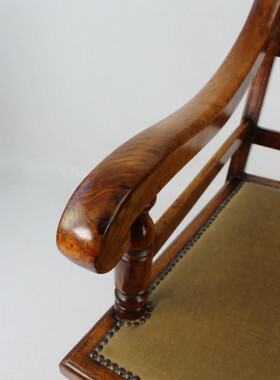 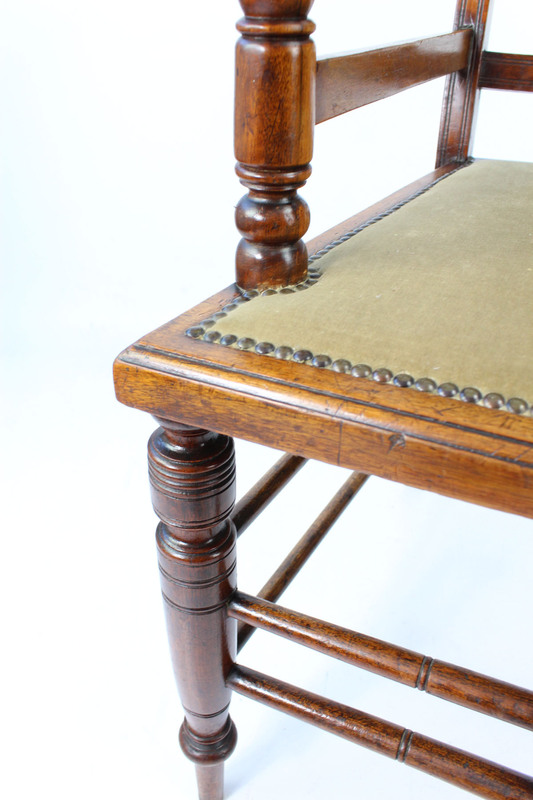 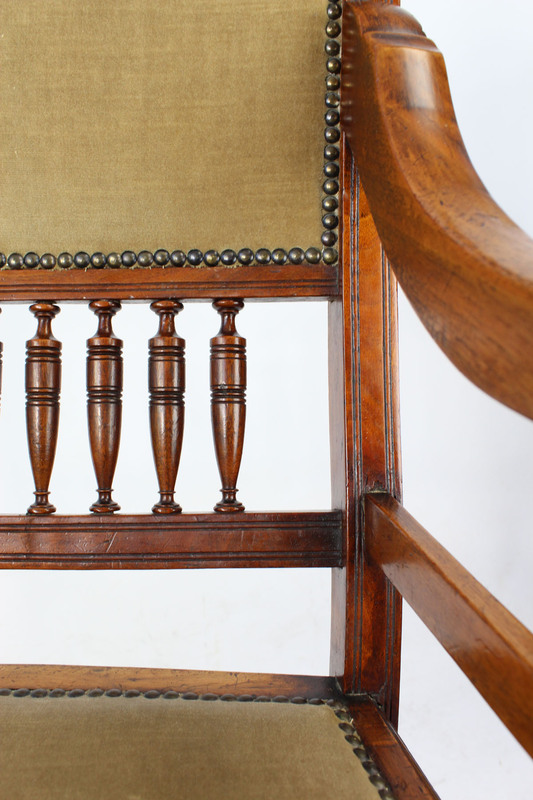 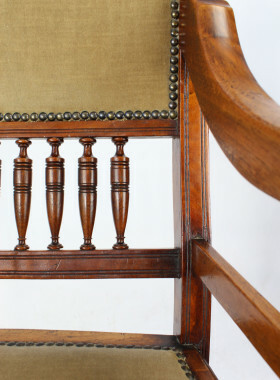 With turned rail backs and carved top rail, curved arm supports and turned legs united by twin cross stretchers. 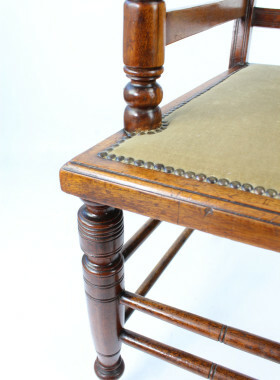 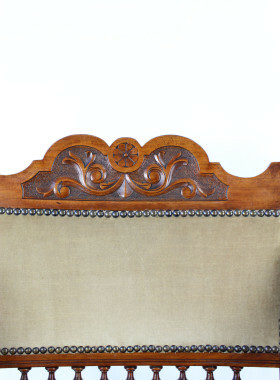 They are solid and sturdy and have been recently reupholstered (a few small marks to the fabric). 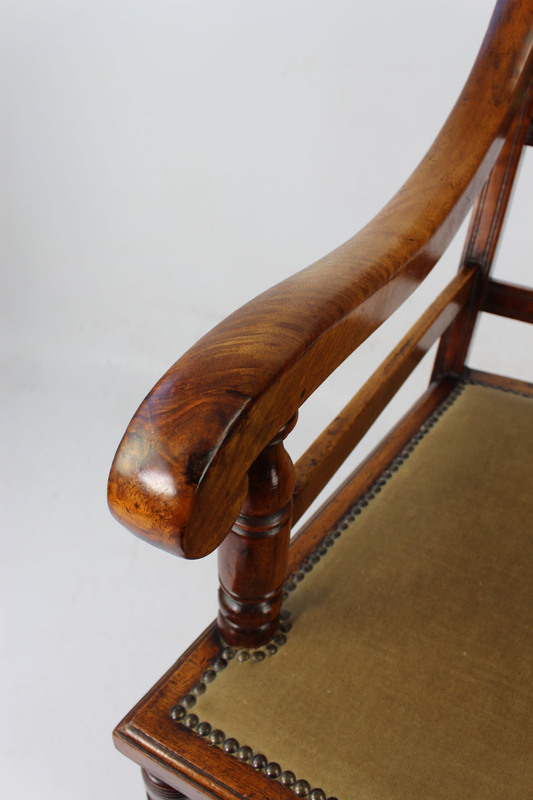 In good condition, with wonderful warm patina and figuring to the walnut. 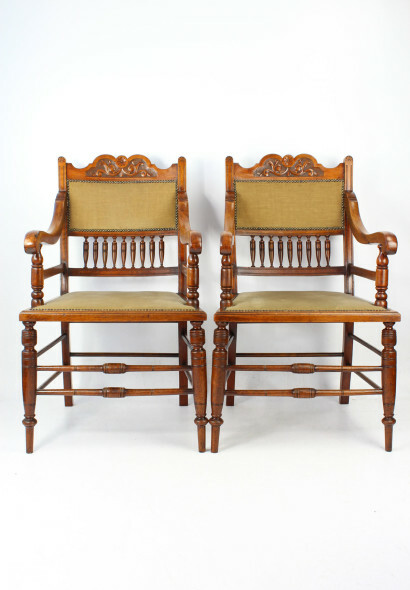 An impressive and unusual pair of chairs.